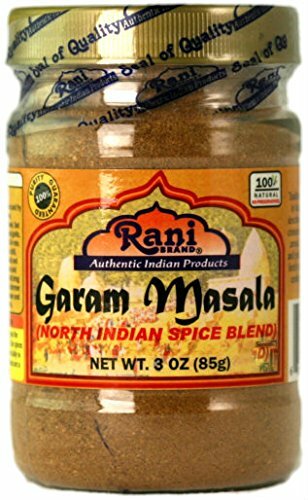 This Indian spice kit includes 8 of the most commonly used Indian spices- cayenne, cumin, cinnamon, coriander, curry powder, garam masala, ginger, and turmeric. Makes a great gift for the cooking enthusiast or for someone just starting out in the kitchen. All spices are USDA organic from Simply Organic. 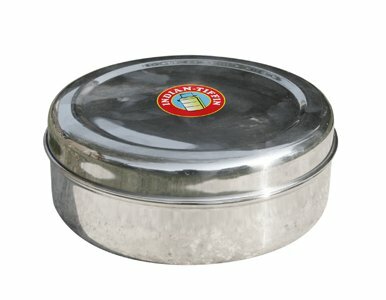 Diameter 16cm Height 6cm Includes: 7 spice compatments All in stainless steel. NOTE: Spice container does NOT come with spices! Cooking for friends or family? Delight their taste buds with our Laxmi Indian Spice Pack! Our variety of authentic Indian spices and cooking ingredients are just what you need to create a gourmet meal in your kitchen. House of Spices carries the essential ingredients that will allow you to create a home-cooked sensational dish that always please. Laxmi Indian Spice Pack is a great introduction to Indian cooking. Each pack includes the 5 essential spices that are in most Indian dishes. 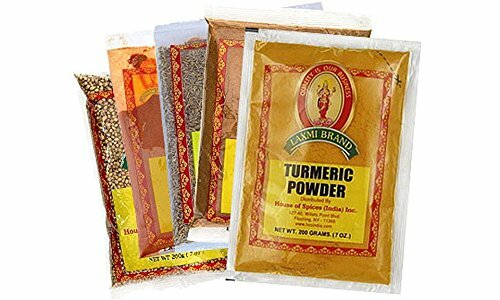 The Laxmi Indian Spice Pack includes a 7oz package of: Cumin seeds, Red Chili Powder, Coriander Seeds, Turmeric and Garam Masala. Make dishes like Tikka Masala, Biryani, and Chana Dal, Bring home the Laxmi Indian Spice Pack today! 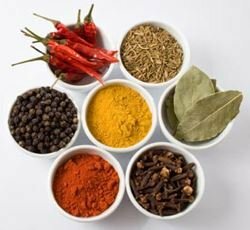 Proudly distributed throughout the United States, House of Spices specializes in exceptional spices and food products always sourced from the highest quality ingredients. 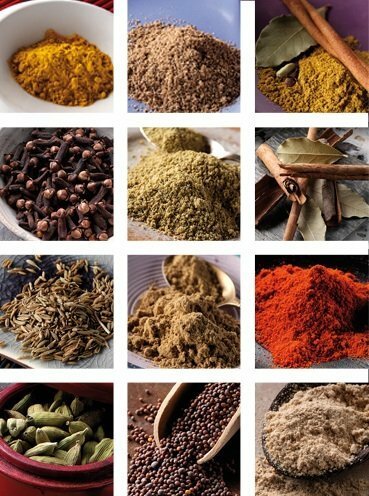 House of Spices has the ingredients you need for traditional Indian cooking - made pure, made fresh, and made wholesome! 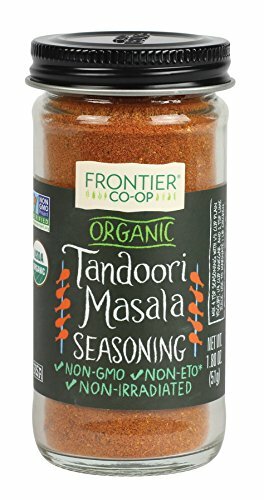 Frontier Tandoori Masala is an organic mix of spices originally created for authentic dishes cooked in a tandoor or traditional clay oven of the region. This zesty seasoning captures the ethnic flavor of northern India, Pakistan and Afghanistan. 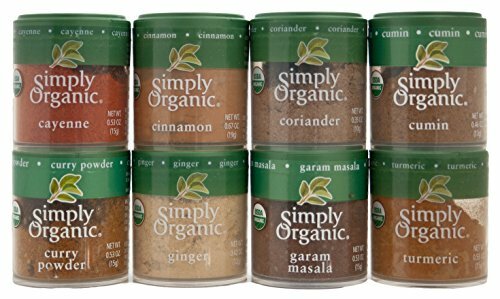 Almost all spices needed in Indian cooking packed in one box. Spices include black mustard seeds, cinnamon sticks, coriander seeds, coriander powder, cumin seeds, cumin powder, dried red chile peppers, chile pepper powder, dried fenugreek herb, fenugreek seeds, paprika, turmeric, ajwain, black cumin seeds, fennel seeds, fennel powder, mango powder, tamarind, asafetida, dried pomegranate seeds, pomegranate powder, black salt powder, cardamom seeds, cardamom powder, chile pepper flakes, cloves, nigella seeds, white pepper powder, white poppy seeds. 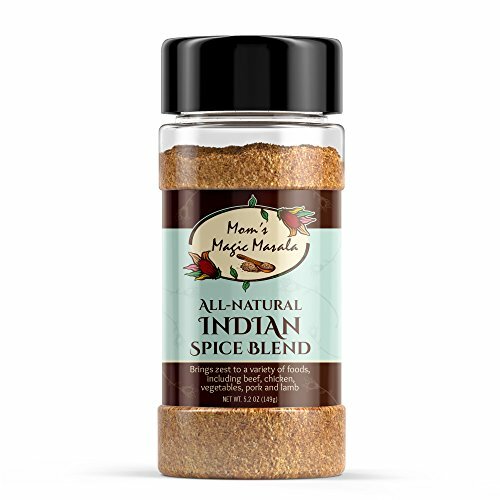 Blend of 16 flavorful spices that has been hit at BBQs for over a decade. Works magic on Beef, Lamb, Chicken & Veggies. Simple to use: just coat any meat or vegetable generously or mix into ground beef or chicken. Gourmet, fusion taste that is not spicy. 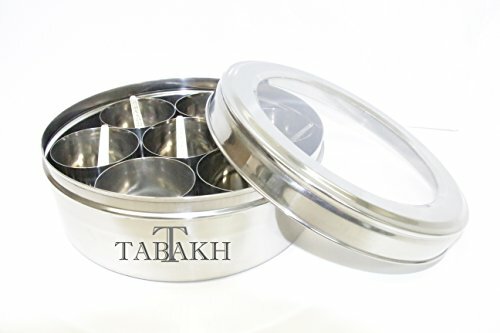 Made by the finest stainless steel material which ensures strength, quality and durability. Its design and finishing will make a wonderful experience in regular use.